Our Honourable Chief Minister Selvi J.JAYALALITHA's samadhi at Marina beach. Police gathered there to give protection and to lead others. Many people gathered there to honour our honourable Chief Minister. 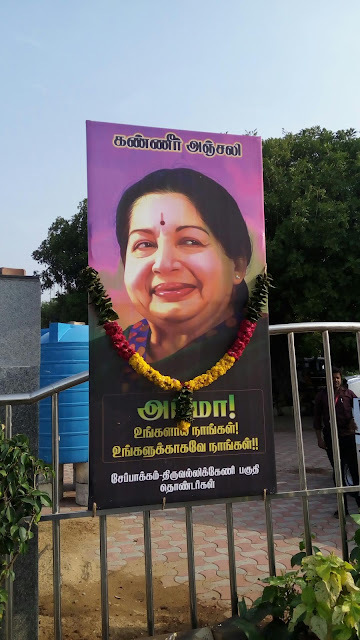 Our beloved former Chief Minister Dr. J.Jayalalitha , who occupied eveveryone's heart in a single word as "Amma" Samadhi lies behind MGR'S Samadhi.